I’m thrilled to say a local Miami artist may have discovered a way to raise the issue with quintessential Miami flare–leave it to Miami. 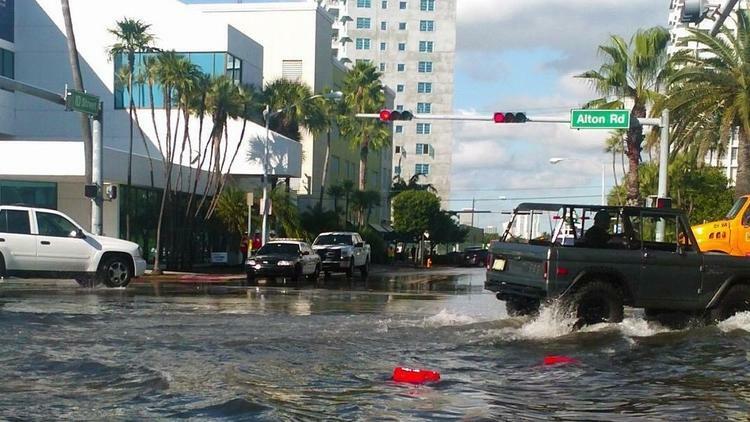 Critically acclaimed environmental artist Xavier Cortada is using art as a platform to raise awareness about rising sea levels and to engage South Florida communities to take action towards solving top climate issues. Mr. Cortada uses what he calls socially-engaged art to make bold statements about the inevitability of sea level rise. He repurposed campaign yard signs, which are symbolic of the political divide in our country, to depict rising sea levels and the impending risk to South Florida homes. Art is a great way to strike up a conversation about climate change among neighbors and the community. It doesn’t matter the socio-economic status, race, or gender. Nor does it matter what a person’s political affiliation is. What matters is the shared threat we all face: climate change. It is how we act and respond today that will ultimately make the difference. 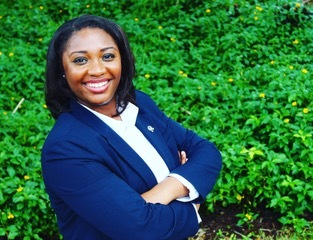 Olivia Nedd is the South Florida Lead Organizer for Florida Conservation Voters.